Microscopes were developed to magnify objects. 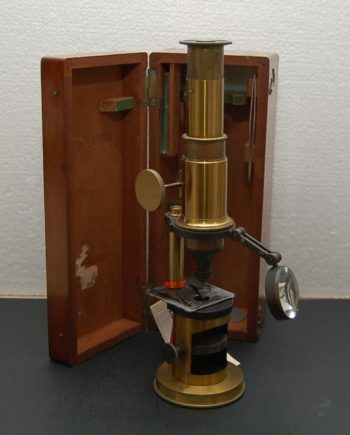 The origin of the Antique microscope, magnifying glasses, were first developed in the 1300’s. The first modern compound microscope however was developed in the 1600’s by Zaccharias Janssen and Hans Lipperhey by placing two lenses at opposite ends of a tube. By using different types and sizes of lenses, they found that small objects were enlarged. Galileo Galilei perfected the first microscope. Anton van Leeuwenhoek improved the first microscope by polishing different lenses, and found that certain lens shapes increased an image’s size many times. The quality of his lenses allowed him to see microscopic animals and bacteria for the first time in history. 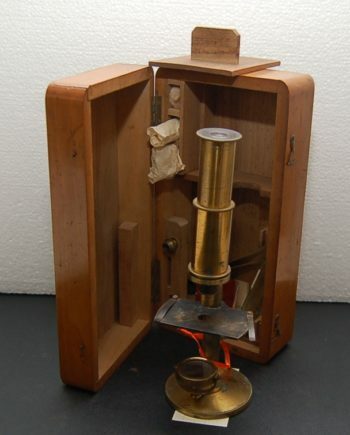 Some of the first antique microscopes are over two feet tall. A major improvement was developed over 100 years later with the achromatic lens, which made the enlarged images clearer and more accurate. In the 18th and 19th centuries, changes in the quality and housing design improved, making them smaller and more stable. 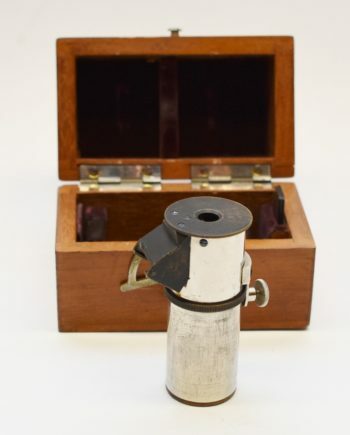 Other improvements were made including allowing specimens to be photographed with uniform microscope illumination and allowing different magnifications using one microscope by attaching multiple lenses to the end of the lens tube on a movable turret. 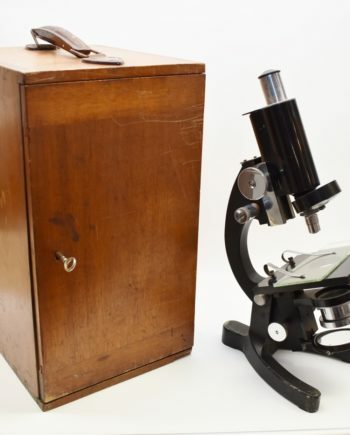 We have many antique microscopes for sale. If we don’t currently have what you are looking for, please let us know. We will be happy to find the item you are looking for. We are located in Perth, Australia, but we ship nationally and internationally including to Ireland, USA, UK, Germany, and Canada.